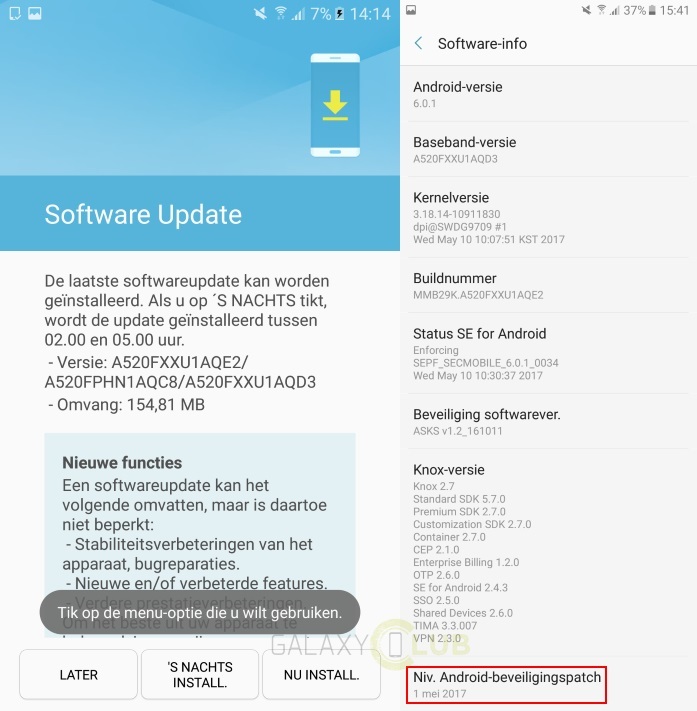 The Galaxy A5 (2017) has just started to receive the latest security patch from Samsung in Europe. As it is the case with all Android smartphones that will be receiving the patch, the May Security Maintenance Release addresses 54 Common Vulnerabilities and Exposures (CVE) on the smartphone. Additionally, 11 more patches from Samsung's end will also be making their way onto the A5 (2017) with the OTA update. The standard sized 155MB update comes in the form of firmware version A520FXXU1AQE2 and should be released in other regions within the next few weeks. If you are in Europe however, the update could be hitting your device anytime now. You can always check from Settings > About device > Software updates like we always mention, but it's not really necessary, given that the prompts are usually instant and automatic nowadays.